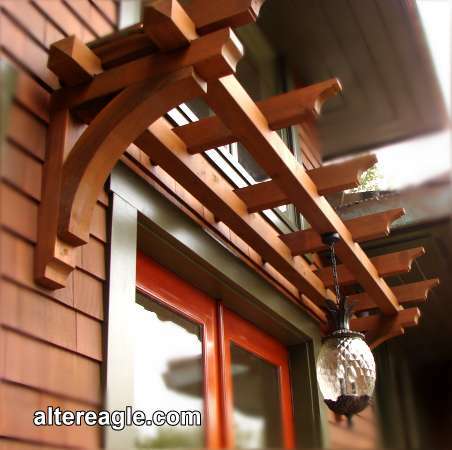 I use a few basic rules used by carpenters for centuries. 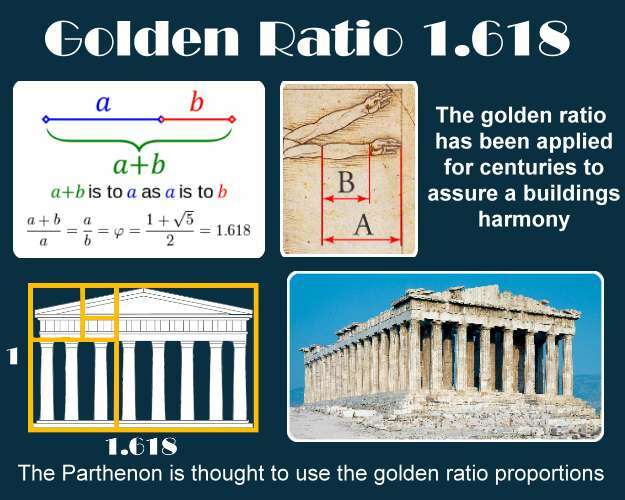 The "golden ratio" is a proportion based on nature used in ancient Greek temple design and later refined by the Romans. 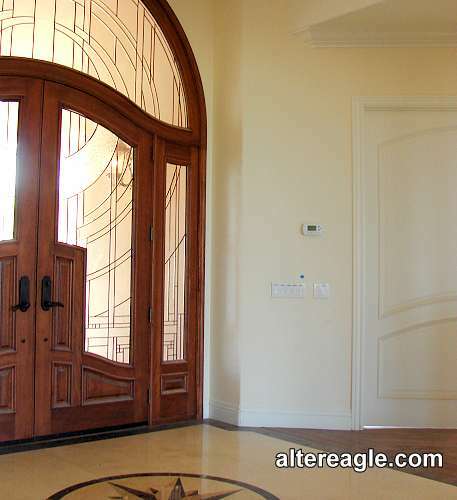 During the architectural renaissance those combined design elements became known as the "classical order". A scale using three main divisions; pedistal, column and entablature to define balance. 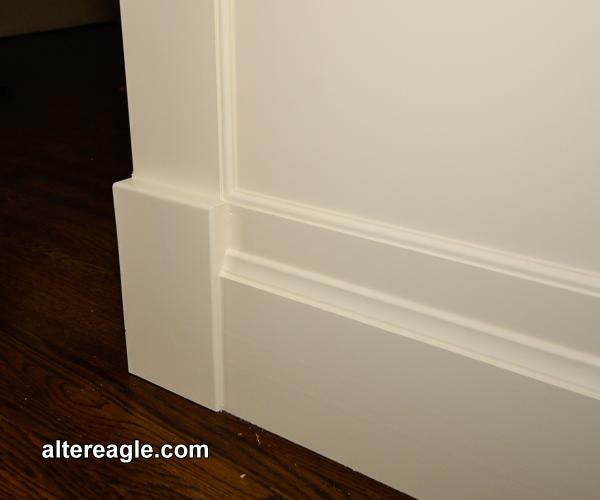 We still apply that proportion and scale to moldings today. 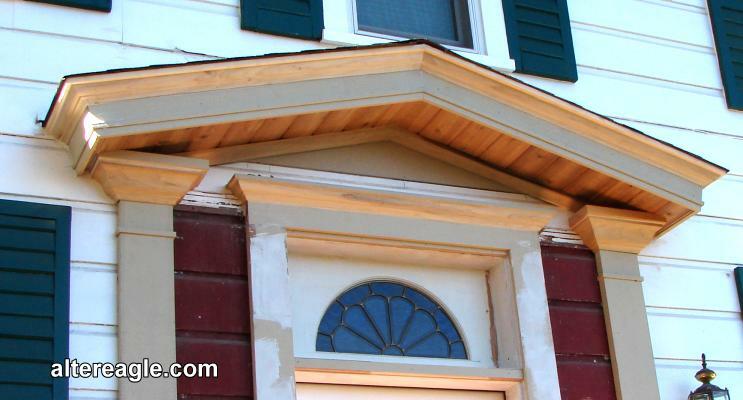 Our architectural molding styles basically came from two sources. The study of the ruins of ancient Classical buildings during the Renaissance period (early 15th century), and the De architectura scrolls (15 BC) by the Roman architect Vitruvius on Greek Temple design. 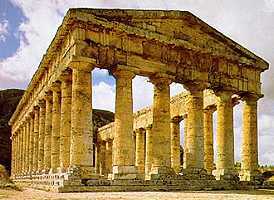 Similar to the Segesta temple in Sicily (416 BC) with it's Doric columns in the Image. The ten scrolls of Vitruvius' "De architectura" are an architectural treatise that survived from Antiquity. In 1562 Vignola recorded the classical orders based on the Vitruviun scrolls, a brief introduction with 32 drawings but still considered quite significant. 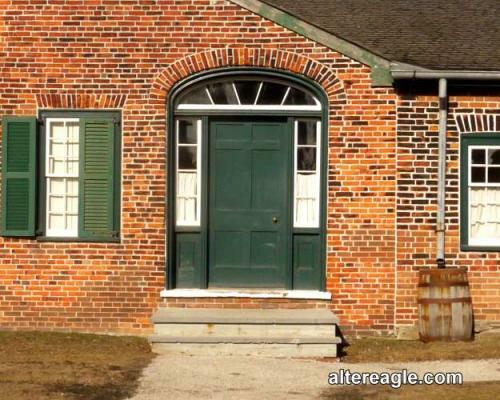 In the early 19th century in America, architect Asher Benjamin wrote The American Builder's Companion, which influenced many of our early master carpenters. 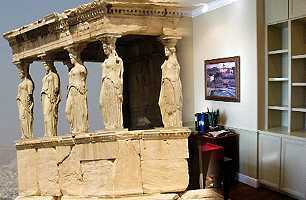 Caryatids supporting the porch of the Erechtheion, a north temple on the Acropolis, the image fades into an office remodel as an example of classic proportion to our scale. According to a story by Vitruvius, caryatids represented the women of Caryae, who were doomed to hard labour because the town sided with the Persians in 480 BC during their second invasion of Greece. 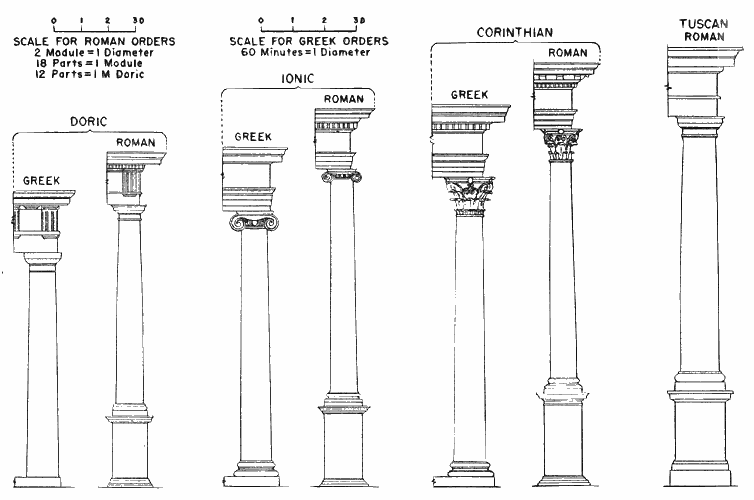 Comparing the classic orders and it's divisions of 3 if the pedestal, column and entablature were applied to rooms. 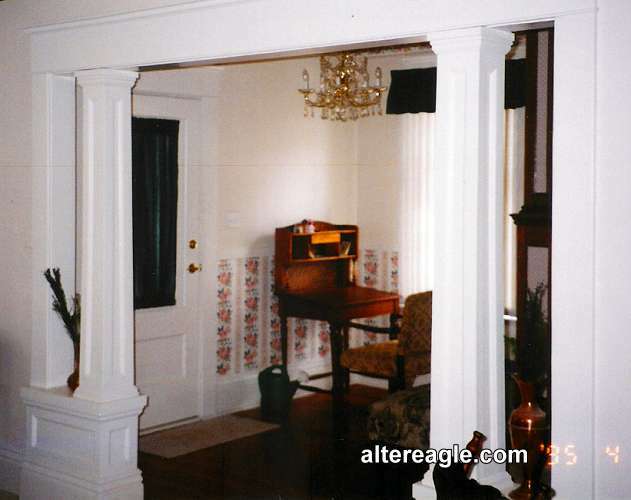 The pedestal would represent our wainscoat and chair rail, the column our walls and the entablature our picture rail and crown molding. 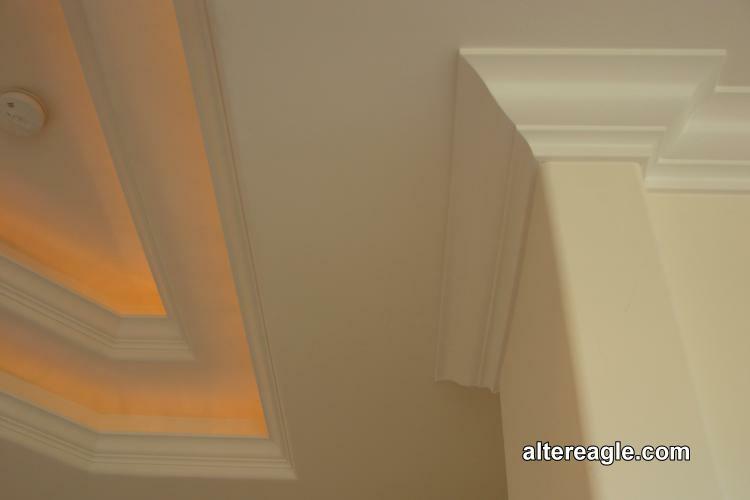 The proportion of the elements are based on the golden ratio and scaled to the volume of the classical orders for our molding details. A is to B as B is to C the numeric value 1.618 is called "phi", named for the Greek sculptor Phidias. 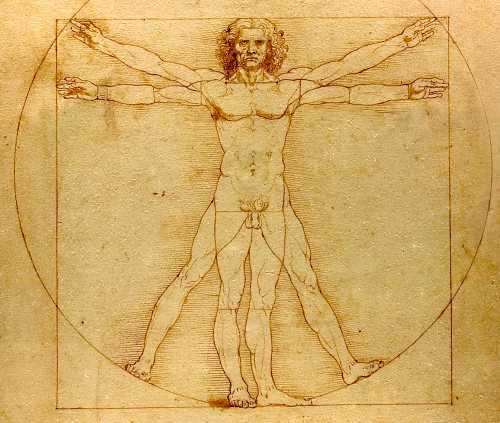 Leonardo called it the "divine proportion"
Vitruvian Man by Leonardo and architects like Michelangelo used proportions from the Vitruvius in their building designs. 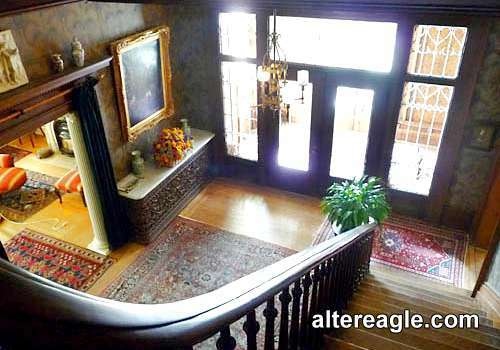 The essence of a great space is defined by proportion and scale with origins in classical design. 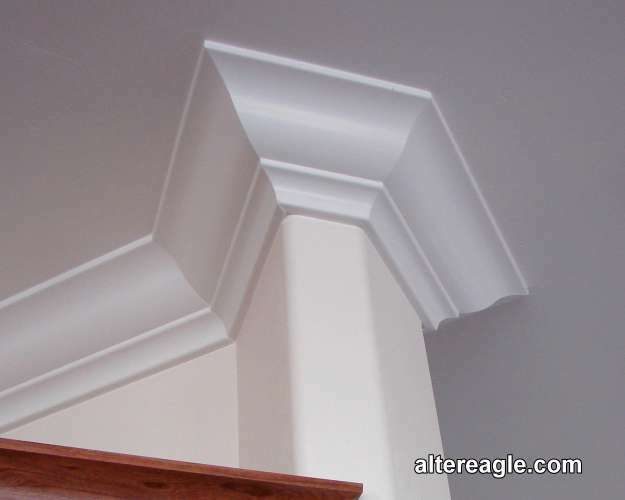 Moldings are a simplified scale from the classical order. 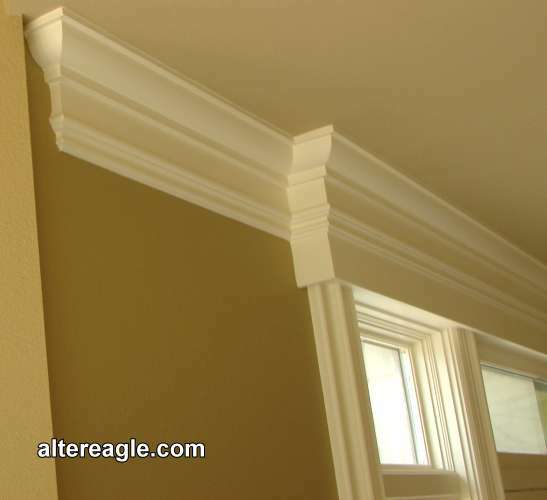 Crown molding adds a classic elegance to any room, a timeless detail that completes the trim work much like a capital does for a column. 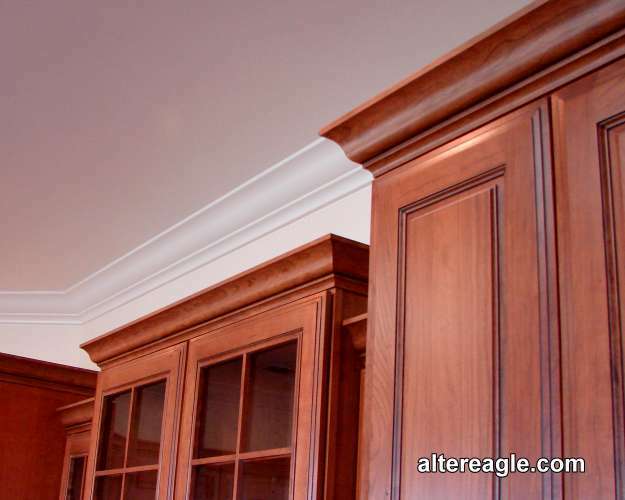 It's the molding that balances out the finished trim work for a room and has one of the largest impacts. 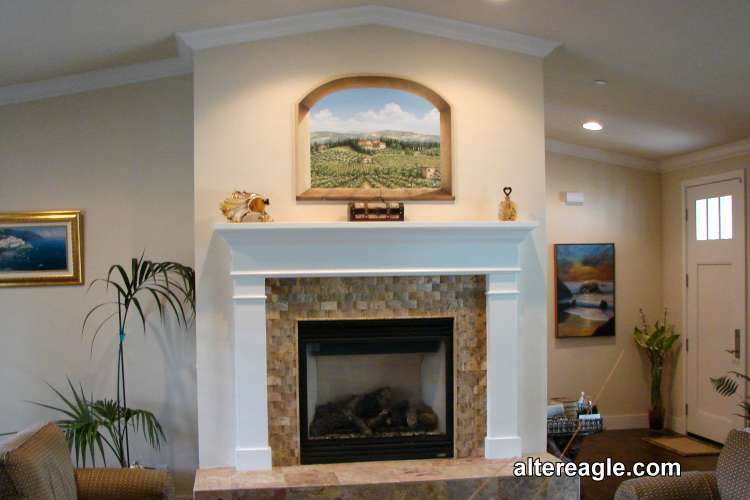 When applied crown recieves our most pleasing comments from our customers. 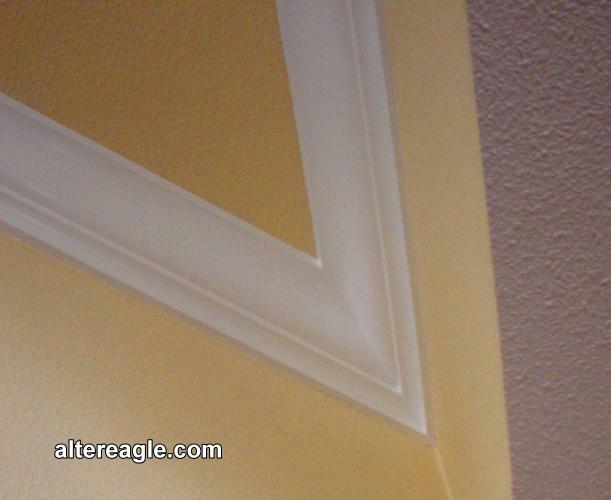 Estimating & Installation: Crown molding can be estimated during a site visit, which varies due to the number of miters, height of walls, style, size and amount of crown. 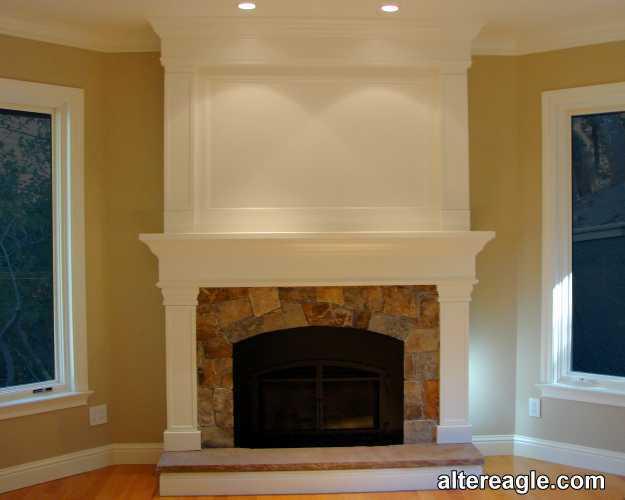 Typically I use pre-primed crown stock then it's final coat is applied after it's installed, nails filled and edge caulked by your painter. 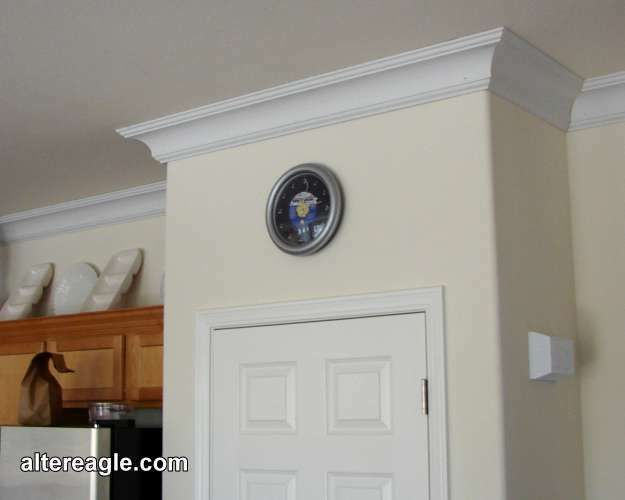 Crown Molding in the modern sense is a decoractive trim that typically sits on an angle at the top of the wall to the ceiling. 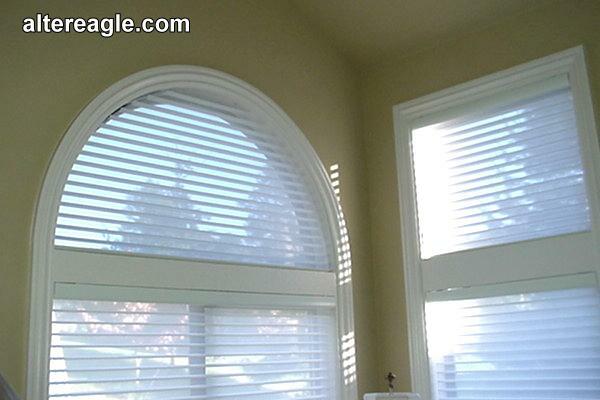 The classic shape most popular today is a Cyma Recta which means "upright wave" and has a scotia at the base. 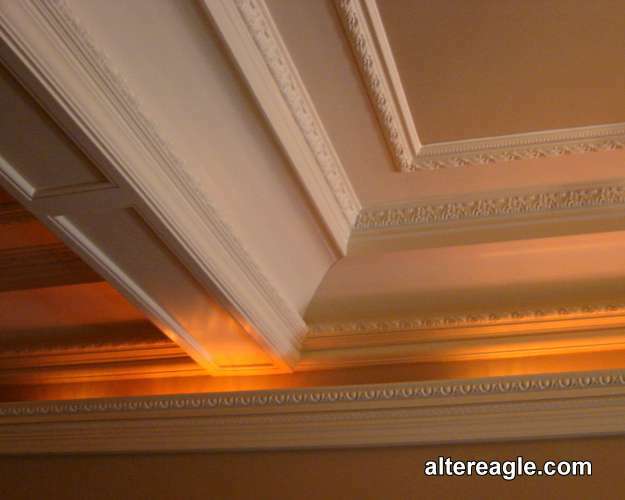 The earliest evidence left in stone of classical crown molding is by the ancient Greeks to top their entablature at the roofline (c. 450 BC) and decorative cornice used by the Egyptians. 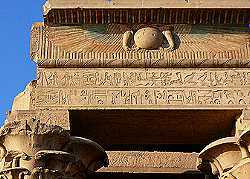 Similar to this cavetto cornice on the Egyptian Temple dedicated to Sobek (180 BC) in the image. 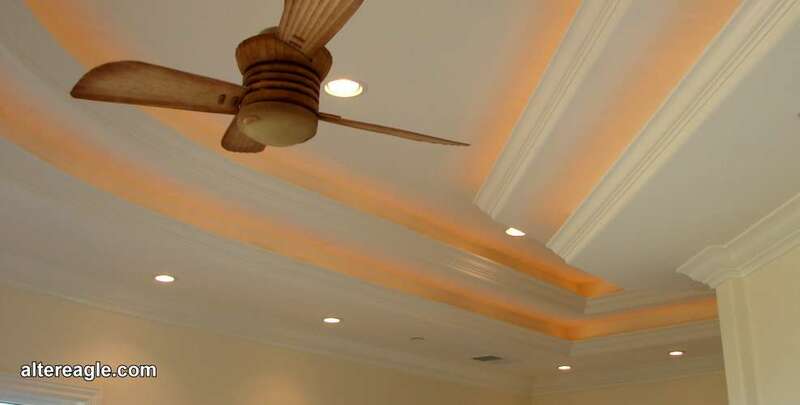 The earliest written record of Cymatium (crown molding) was by 1st century BC Roman Architect, Vitruvius in the "De architectura" scrolls. A surviving treatise on Greek and Roman architecture from classical antiquity, (not re-written until 1452). 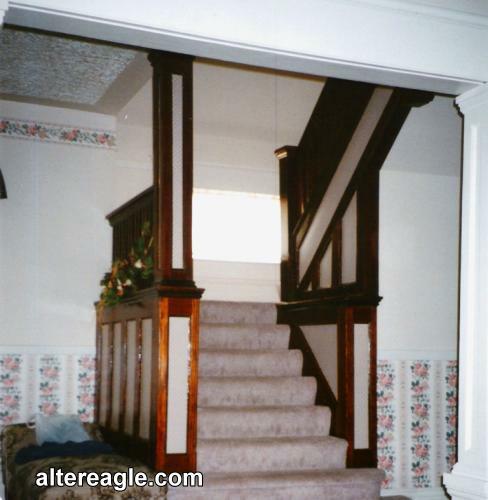 Crown is the third or uppermost division of an entablature. 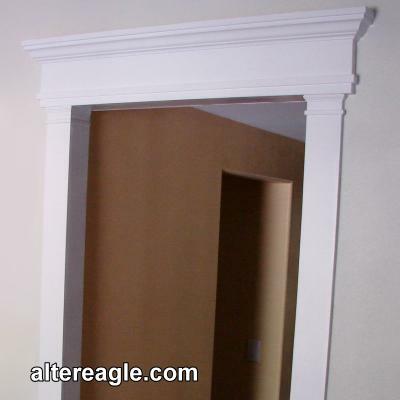 If the classical order and it's 3 main divisions the base, column and entablature were applied to rooms. 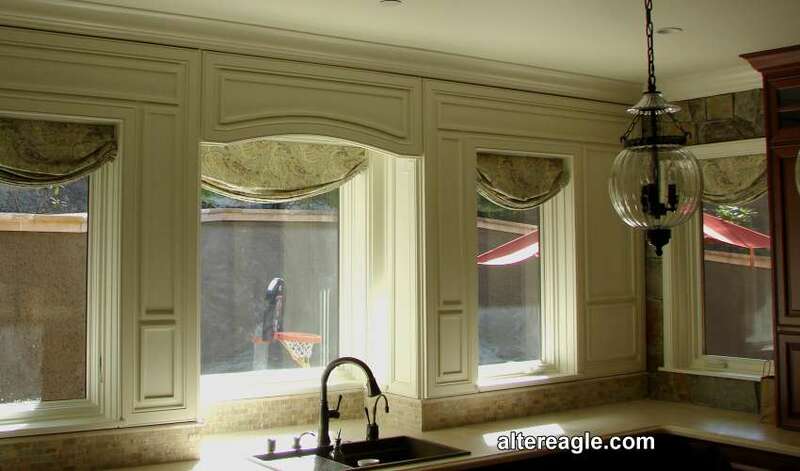 The entablature also gets divided into 3 the architrave, frieze and cornice or for our moldings represented by picture moldings, frieze and crown. 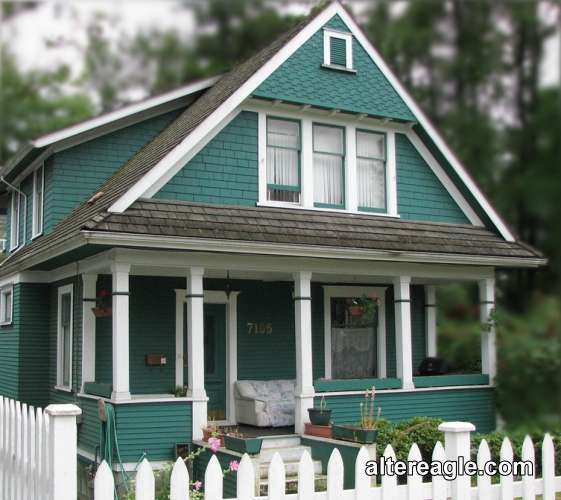 An excellent example of crown in an entablature is by Architect Henry Rill (1897) in the image. 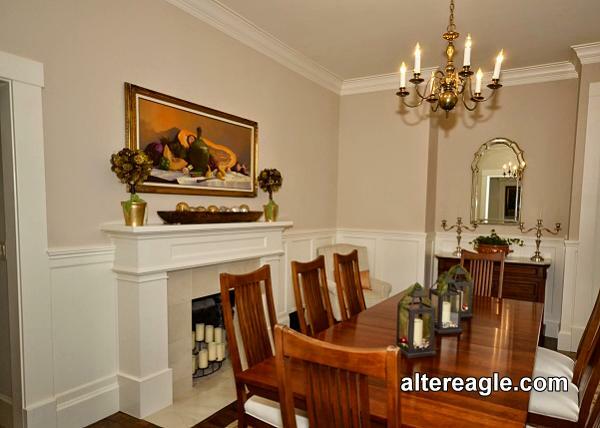 Wainscot eminates warmth and aesthetic balance. 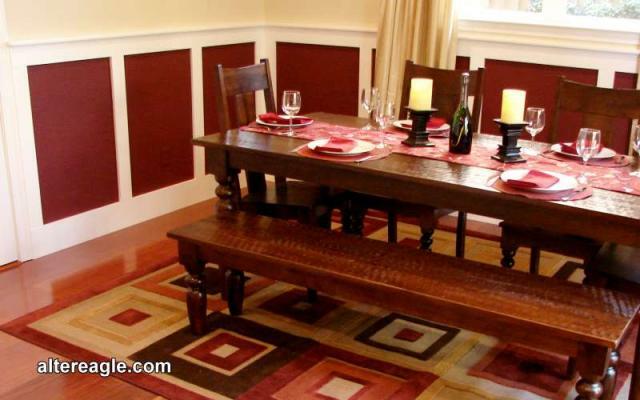 Often used for formal rooms like dining, entries and office or for family room spaces like baths. 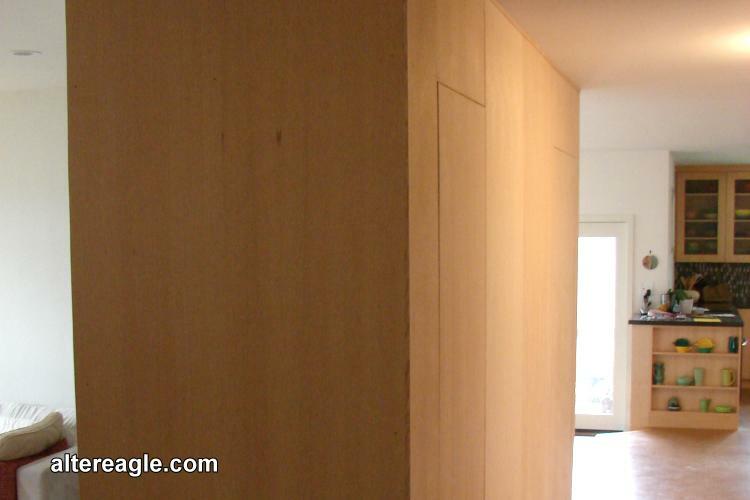 Wall paneling traditionally is used for libraries, and office spaces and can also tie into the cabinetry. 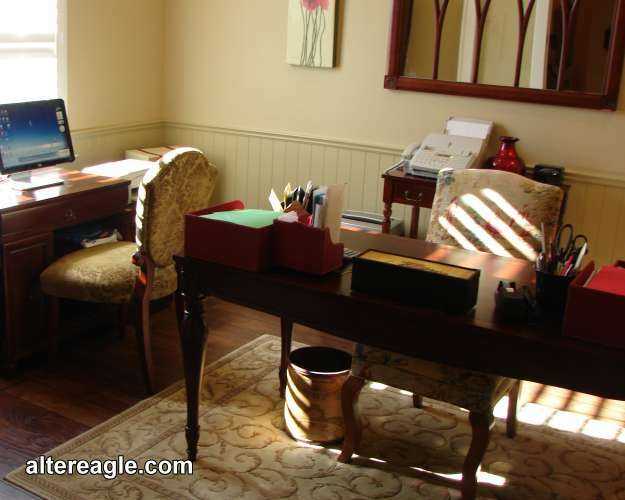 Estimating & Installation: Custom made wainscot inset paneling requires a careful layout, so I'll typically draft a room and do the math off site which can take a few days with an onsite ballpark estimate. 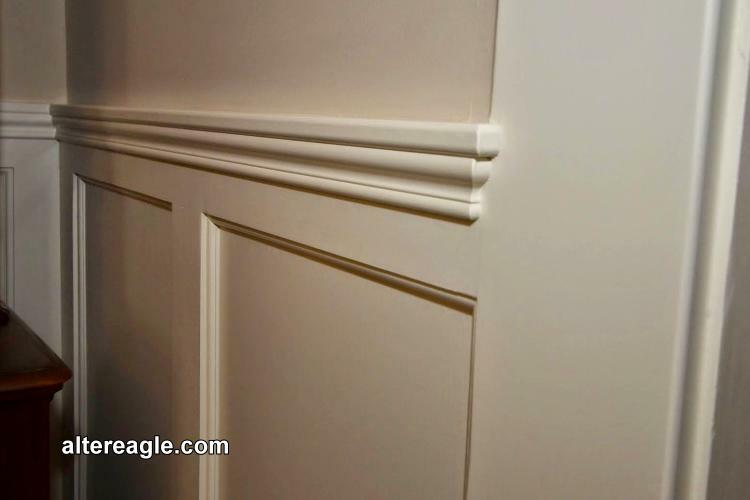 For flat panel wainscot, chair rail or applied molding panels I can usually do an on site estimate. 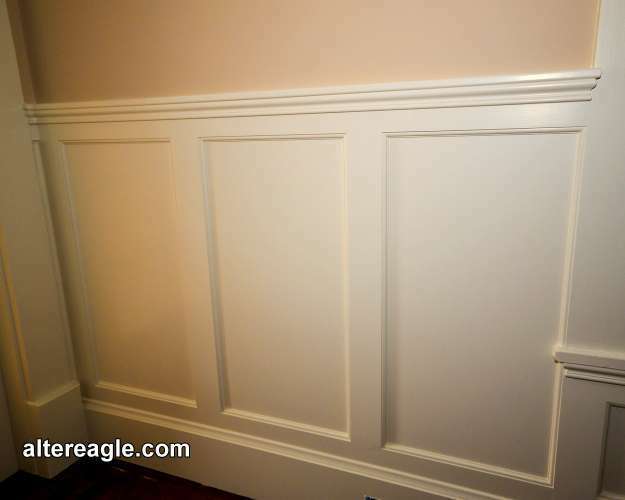 The earliest documentation of wainscoting appears in homes in 1500's England to cover the lower part of walls at a time when homes made from stone and were not built to resist dampness wicking up from the ground.It was very popular in Victorian and Crafstman homes here in America especially in kitchens and baths where it protected the lower section plaster walls from moisture. 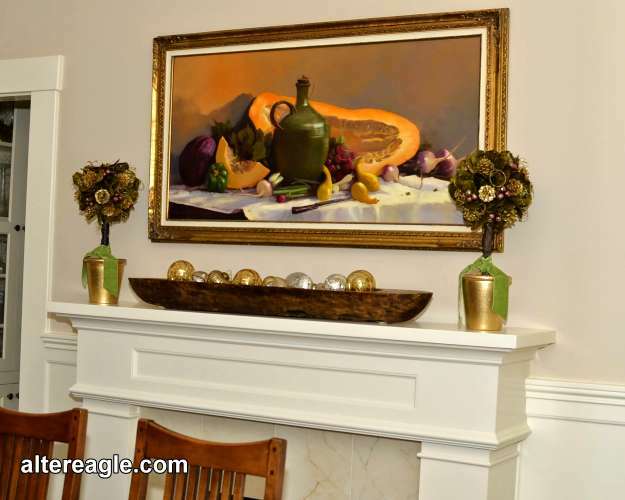 These days it is used as an elegant way to decorate rooms in the home as it eminates the feeling of warmth from it's original use. 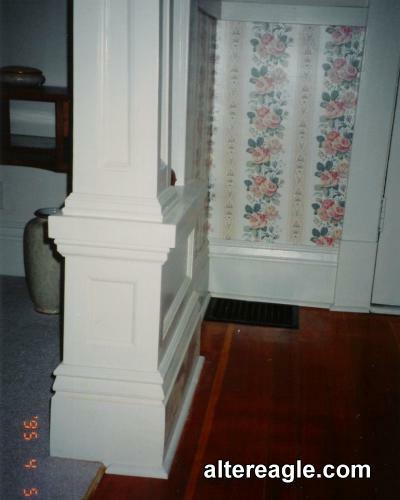 In classical architecture wainscot is the first or lowermost division the pedistal. 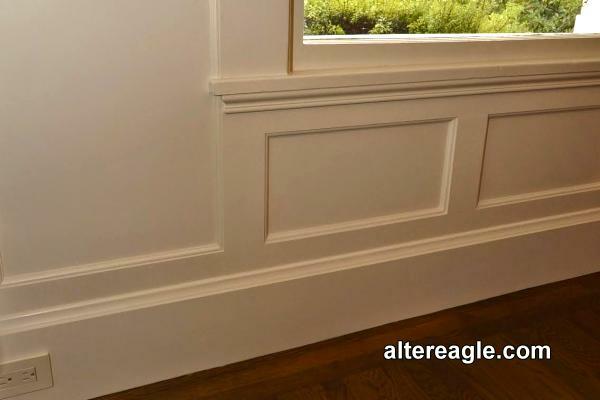 The classic pedestal gets divided into 3 the plinth, parapet and cornice (cap) or represented by our lower wall moldings the baseboard, wainscot and chair rail. 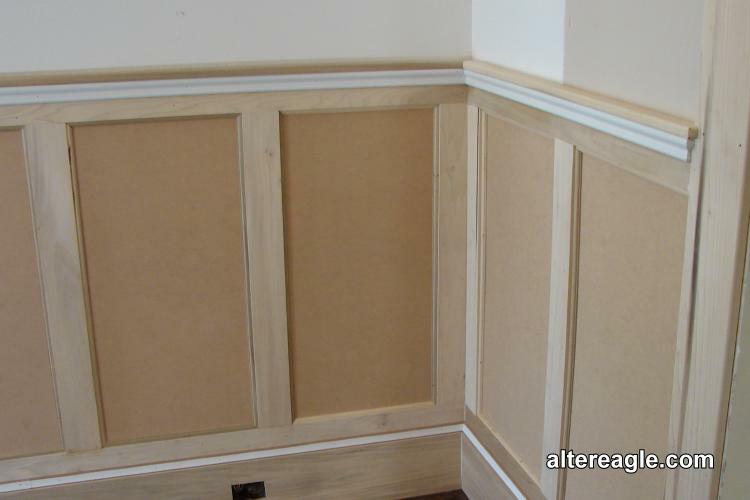 Wainscot also needs to be installed with some sensitivity to the proportions of the room. 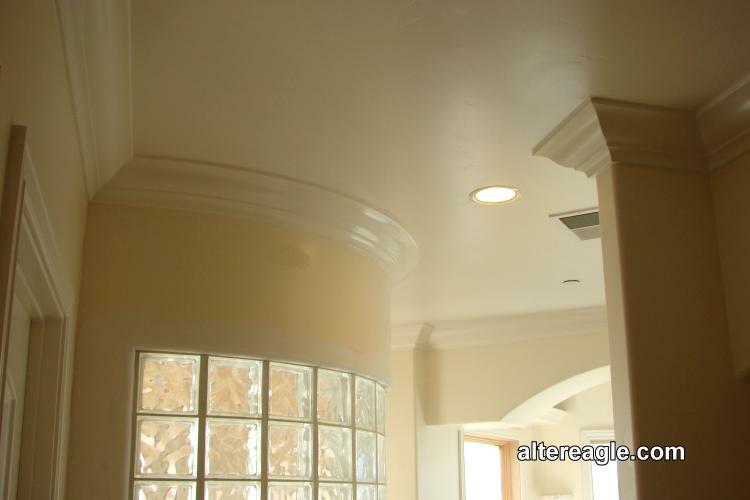 It's best to design it on the lower side where a 13 part column height would have 2.66 diameters for the pedistal. 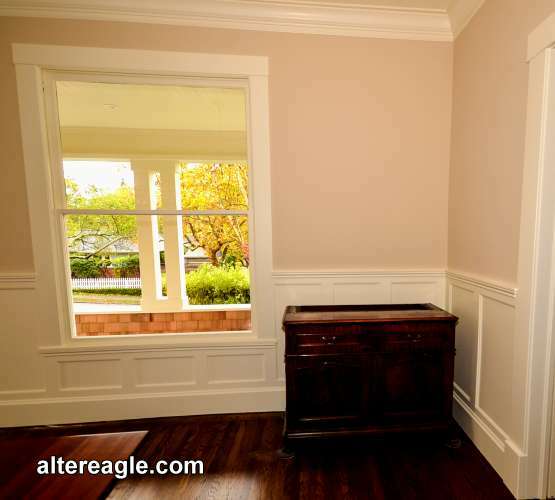 Wainscot too high can diminish the size of a room, making it feel uncomfortable. 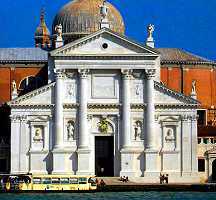 A beautiful example of proportinate pedistals is on the San Giorgio Maggiore facade in Venice, designed in 1566 by Andrea Palladio. 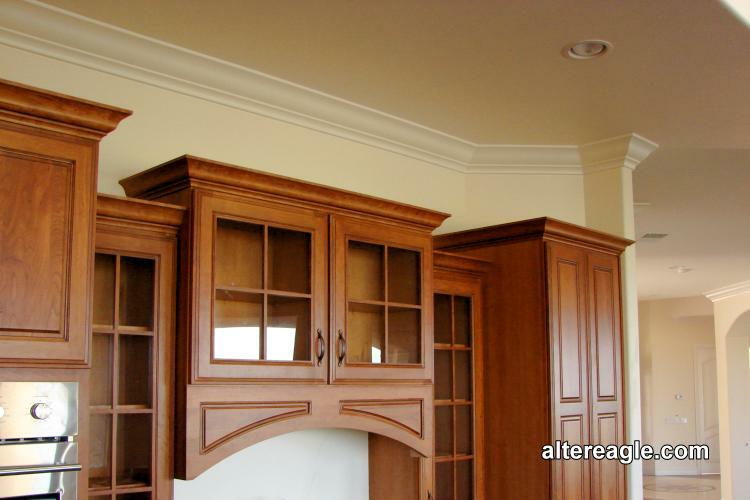 Builder trims can have the tendancy to be under sized or remodels have the historic styles removed. 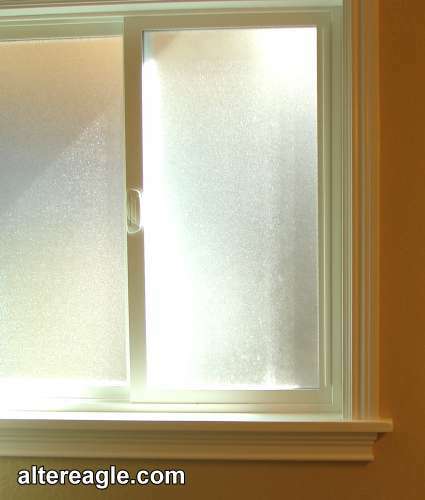 Window casing can be omitted entirely and just have drywall returns. 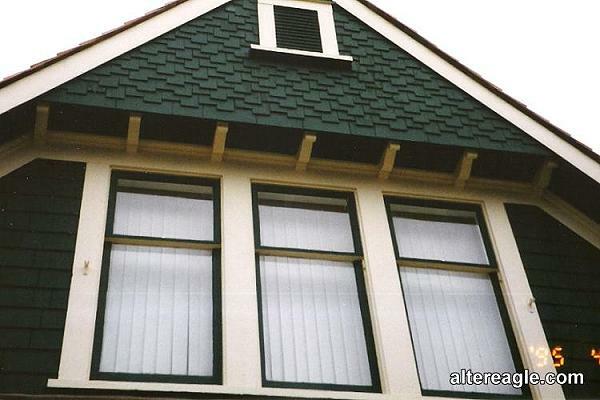 We can help you restore your trimwork to it's former glory and add back the classic window casings. 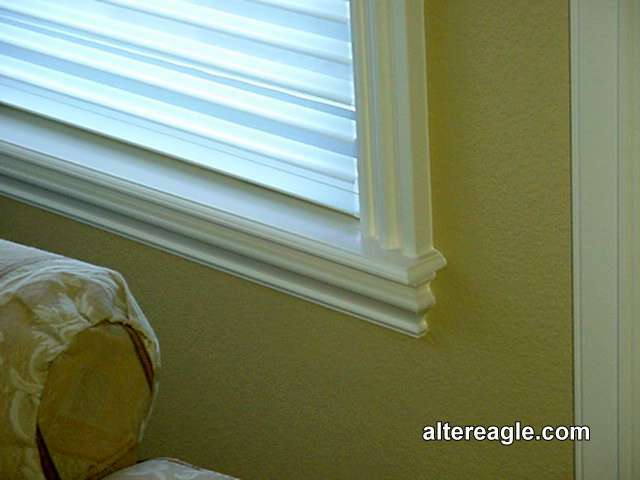 Estimating & Installation: Trim upgrades and styles can usually be estimated during an onsite visit. 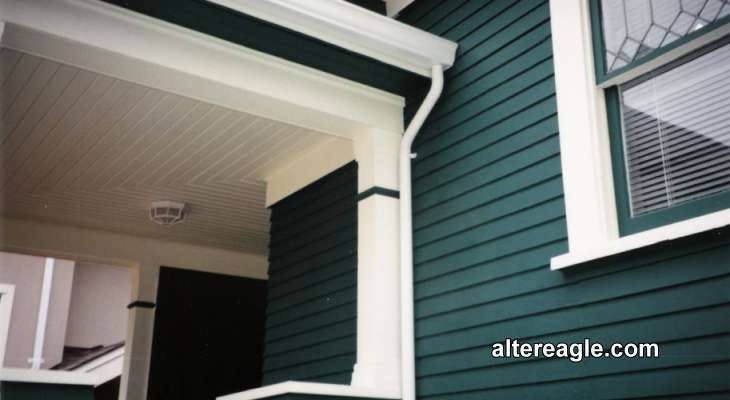 The smaller trimwork is removed and the new applied with some minor touch up by your painter. 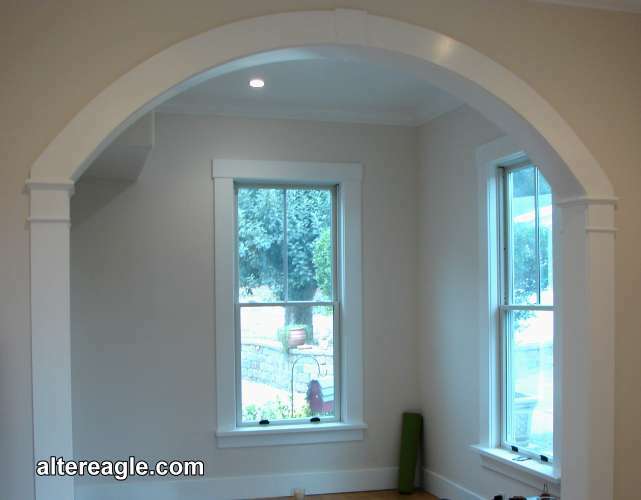 Base can have radius installed for those rounded drywall corners. 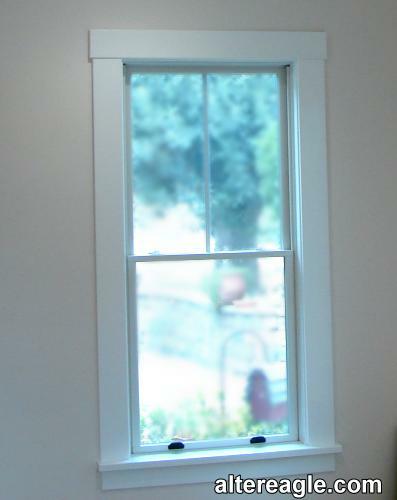 Classic window casing, stool and aprons can typically apllied over the drywall returns or replaced with wood jamb extensions. 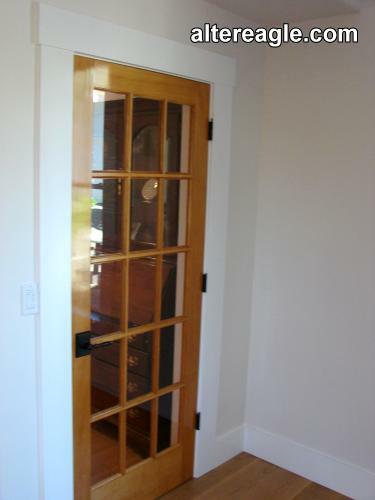 New location doorways with framing or match hinge placement and size on existing. 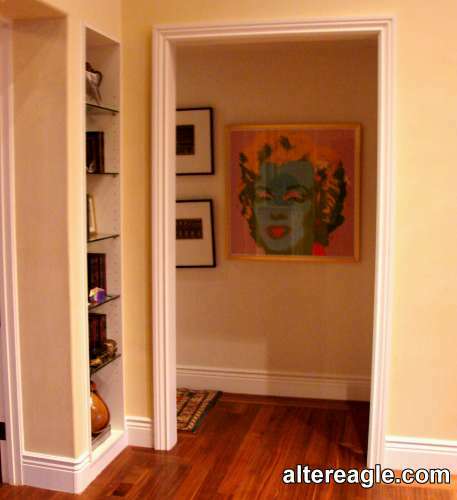 Replace interior doors with pre-hung or retro-fit, add custom jamb widths. 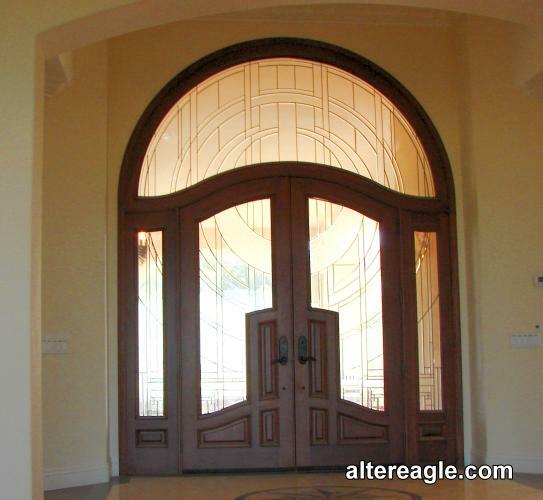 Door trim upgrades with entablatures, archways and historic entrance architecture. 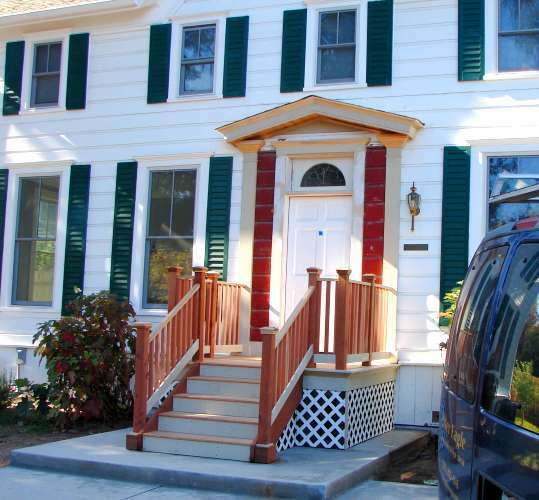 Estimating & Installation: Trim upgrades can usually be estimated during an onsite visit. 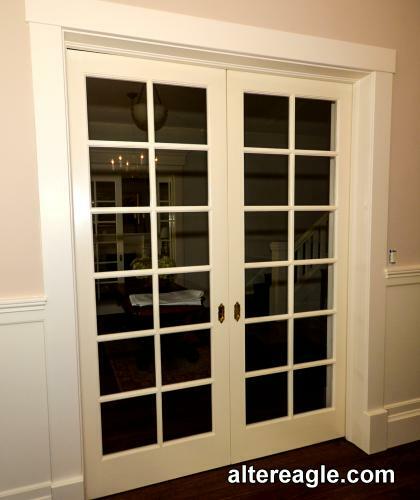 Replacements require the doors ordered and can vary depending on the scope of the project. 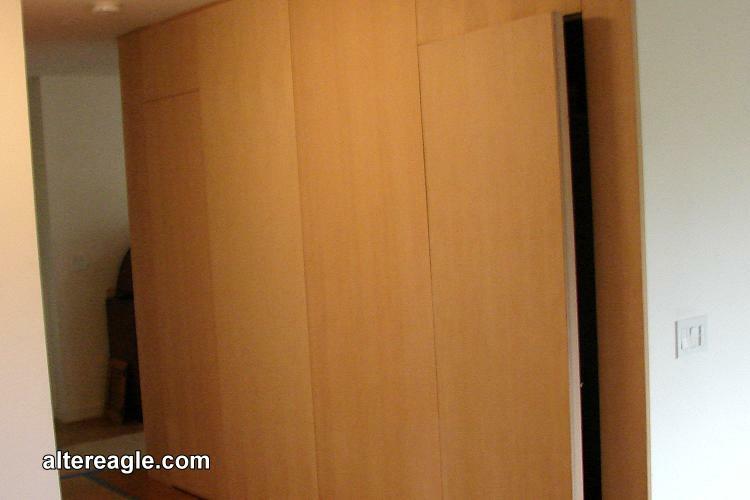 Pre-hung doors can usually be replaced and upgraded in a day. 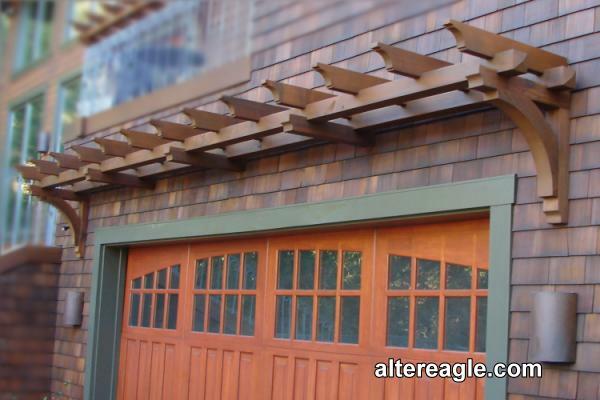 Custom jambs, entablatures and entrances typically require some shop work. 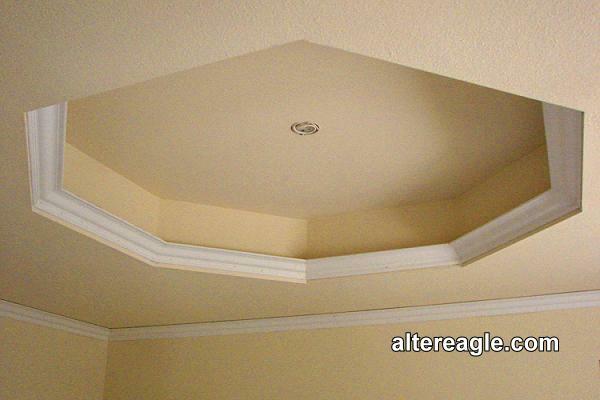 Like crown molding coffering a ceiling adds a timeless elegance to rooms. 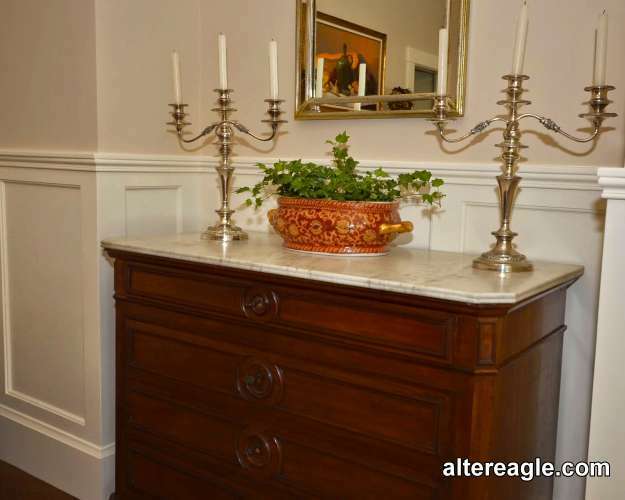 In formal spaces like dining or a panelled office the details have been applied for centuries. 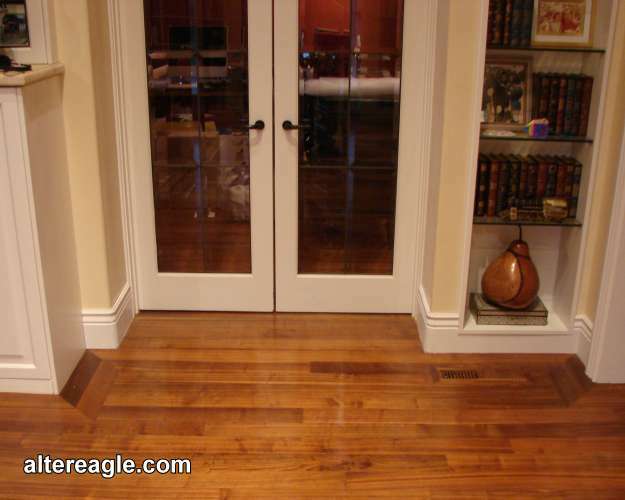 Tongue & groove is a classic look for porches or in rooms with a historic design. Estimating & Installation: Most coffers and box beams can be estimated onsite for a "ball park" cost but require a layout to get the exact price. 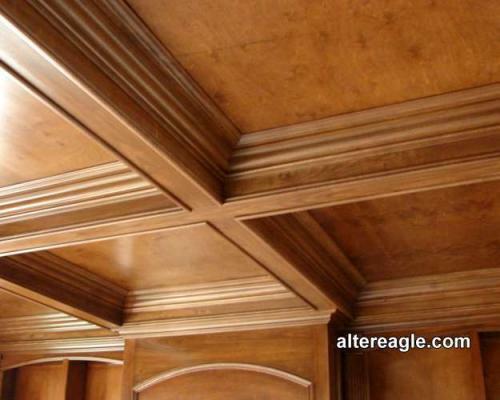 Box beams are built down, the structure is applied to the ceiling joist and trimmed out typically with crown molding. When coffering is taken up the ceiling joists are re-framed with some structural work which can be prohibitive with roof trusses. 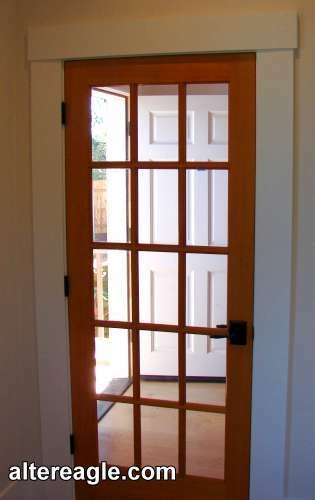 Coffering is the sunken panels created by crossing members such as beams. 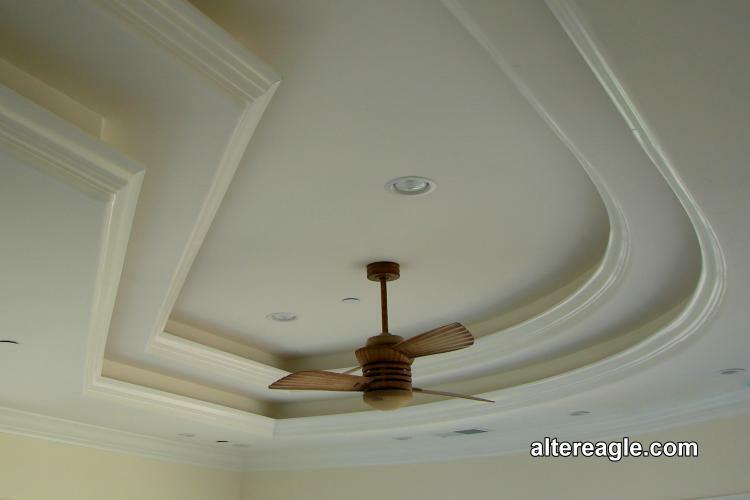 The ancient Greeks and Romans used coffering to decrease the ceiling load, beautiful design aestetics and to reduce echo. 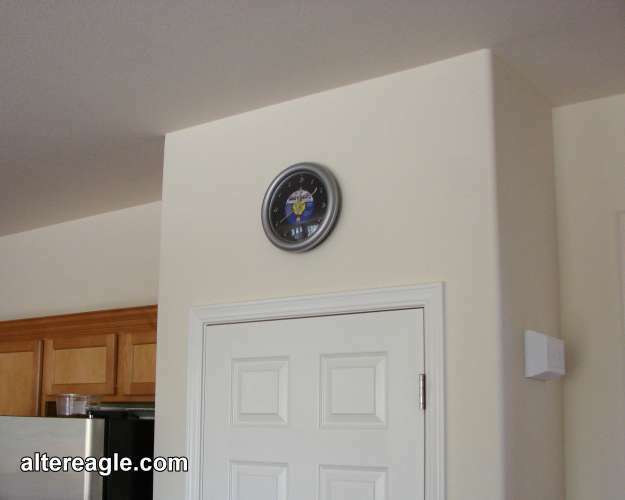 The classic example of a coffered ceiling is the Pantheon dome. The Panthen is a temple that was dedicated to roman gods and built in 27 BC. Pan meaning all and Theon, gods. When Michelangelo first saw the Pantheon in the early 1500s, he proclaimed it of angelic and not human design. One of my favorite uses of a coffered ceiling is by the Baroque architect Francesco Borromini who created a masterpiece of forced perspective with an optical illusion. The diminishing rows of columns and a rising floor extends the visual apperance the 26 foot gallery to look as if it would be 122 feet. The sculpture at the end of the corridor looks life size but is actually only waist high. 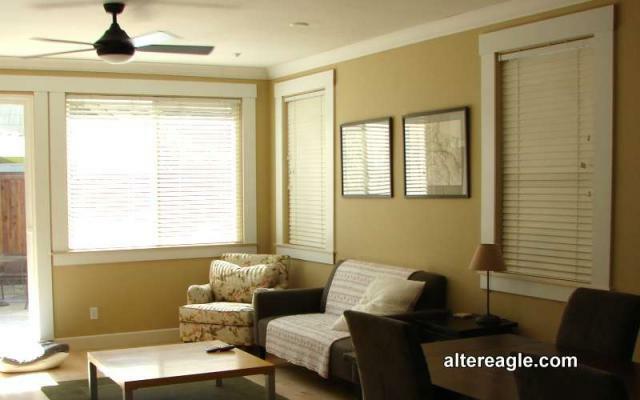 He used a coffered ceiling on the barrel vault of the gallery mathematically laid out with perspetive to the dimishing point.